When I drive to the airport I generally prefer to go through downtown because I’ve always loved city skylines. Even when I travel to the airport via the Beltway, about mid-span over the Buckman Bridge I look downriver to see the tiny silhouettes of our big buildings in the distance. I’m the kind of guy who knows that, at 42 floors and 617 feet, the Bank of America Tower is not only the tallest building in Jacksonville, but the 11th tallest in Florida, and the highest in the state outside of Miami. Of course, there is nothing in the world quite like the New York skyline with its countless spires, which poet Walt Whitman once described as, “high growths of iron, slender, strong, light, splendidly uprising toward clear skies.” From whichever direction I approach Manhattan, my eyes go first to One World Trade Center, the tallest of the Big Apple’s many fingers pointing heavenward. And each time I do, I reflexively note the absence of the Twin Towers that stood there for 28 years until one Tuesday morning in September, 17 years ago today. Every time we now fly, we experience one of the legacies of 9/11: shoes off; laptop out; finish or throw out that drink before the security checkpoint. It seems unbelievable today, but 18 years ago you could bring a baseball bat or a knife up to 4 inches long on a plane. Still, when we go through the TSA line we’re probably not thinking about the events of September 11, 2001, but are focusing inside on the struggle to take off our shoes while simultaneously getting our laptop and clear bag of toiletries into the bin for screening. Every so often history makes an indelible mark on our memories. The morning of that terrorist attack is seared into our brains as the day when our collective sense of invulnerability as a nation was shattered. As the tragedy of that early September morning unfolded, we heard the anguished cries of families fearfully awaiting news of loved ones. We saw the pictures that plastered the walls of construction sites and subway stations, the photos and descriptions of the missing. We mourned those who left for work one morning, never to return. The sorrow of that time seemed to transform the world and galvanize our nation. In the weeks following the attack, extravagance was in poor taste, frivolous behaviors frowned upon. Contributions to charity skyrocketed. New Yorkers, Washingtonians, indeed, all Americans came together in a way not seen since World War II. Bipartisanship was the theme of the hour. Those first months following 9/11 Americans lived with a new sense of purpose and urgency. As the realization of life’s ephemeral quality and its uncertainty set in, many who delayed marriage took the plunge. Those who had put off having children decided to wait no longer. Who knew what might be around the corner? The summer following 9/11 a mini baby-boom took place around the nation. In the aftermath of the tragedy, myriad talk shows and newspapers featured human interest stories about the emotional and spiritual changes happening within the fabric of American culture. Not unlike Hagar, Hannah and Rachel, the heroines of Rosh Hashanah’s Scriptural readings, who found ultimate redemption through tears of grief, it appeared that America was prepared to distill meaning from its mourning. In sorrow we resolved to change. And we did change. . .for a while. Human beings are resilient; we possess elasticity of mind and spirit. Great force can compel us to stretch ourselves, to reach farther and higher. With the passage of time, however, a relaxation of tension causes us to slowly, sometimes almost imperceptibly, contract. Eventually most of us return to our old grooves. Except for those who lost loved ones that day, the weeks, months and years since September 11th have seen us largely go back to old ways of thinking and doing. The horrific images of that morning showed us the importance of living to the fullest because the business of life is uncertain, yet how many parents curtailed their working hours to find more time to spend with their children because of 9/11? How many spouses have invoked 9/11 to revitalize marriages gone stale because they now realize how fragile life is? How many of us have fundamentally changed the way we treat those who work on our behalf, viewing their efforts with greater empathy? Have we sought additional opportunities to volunteer or give more tzedakah as a response to September 11th? Do we wake up each morning with a greater appreciation of what it means to be alive because one beautiful autumn day nearly 3,000 people were killed for no good reason and with little warning? Suffering alone cannot make a person better, or for that matter, a society. With the passage of time, the open gash heals to a scar; the burning imperative to find meaning becomes muted. Life goes on. And if the desire to be better in the wake of trauma is proof of our Divine spark, then a return to the old rhythms of everyday life is evidence of our human nature. As the aches and anxieties of painful wounds heal, the keen sense of urgency ebbs and gradually dissipates. Rosh Hashanah and Yom Kippur, unlike other Jewish holidays, aren’t tied to a particular agricultural or historical event. And though we think of Rosh Hashanah as the Jewish New Year, the Torah considers Tishri to be the seventh month, not the first! It would almost seem that these Days of Awe were placed on the calendar at random, with little rhyme or reason. Rosh Hashanah would be no less meaningful in January than September; its theme of self-improvement and better living as timely in the winter or spring as in the autumn. And that is precisely the message of these days. Real change is not measured by what we do in the moment of intense emotion, the immediate aftermath of tragedy. It doesn’t come as they wheel us into the O.R. for major surgery, or as we lie in a foxhole in the middle of a battle. Such events batter down the door of complacency, they force us to confront the fragility and transience of life; and they may serve as catalysts for change. . . if we use them. But the danger passes, the moment recedes. The heart equivocates. The mind hesitates. For true teshuvah to happen, for real change to occur, it requires the willingness to work on oneself in the most ordinary and humdrum of circumstances. “Don’t sweat the small stuff,” a modern guru tells us, but, it is precisely how we deal with the small stuff that reveals who we are. The moments of great triumph or agony are, for most of us, relatively few. Our lives are defined by the mundane moments in between. But that is why God created in us the capacity to tell stories and to learn from them. Even without the intensity of trauma and its immediate aftermath, we can recall a story and remind ourselves of its meaning. On that fateful September day there were thousands of stories created. Most of them are not the stories of Jews, but they are Jewish stories because they highlight authentic Jewish values. They are shofar sounds by way of narrative: just as the ram’s horn awakens us to what really matters, the accounts of the survivors call us to rise from the slumber of our complacency. Jarek Klimczak survived because two co-workers made the mistake of arriving two hours early for a meeting. He left the Marriott at 3 World Trade Center, which later collapsed under the debris of the second tower, to have coffee with his colleagues. He went out in casual clothing with nothing but his key card to room 1043, planning to return in an hour to get ready. The decision saved his life, but cost him all his belongings: “Only hours before,” he later observed, “the items in my luggage seemed so dear to me — some of them too precious to ever consider losing. But in the face of this scene of carnage, and in the instant of their disintegration, they all became trivial objects not worth a thought.” A simple reminder of what really matters. If you visit the 9/11 Memorial Plaza you will see a very special Callery pear tree, known as the “Survivor Tree.” Almost a month after the attack on the Twin Towers, the tree was discovered at Ground Zero severely damaged with snapped roots and burnt and broken branches. 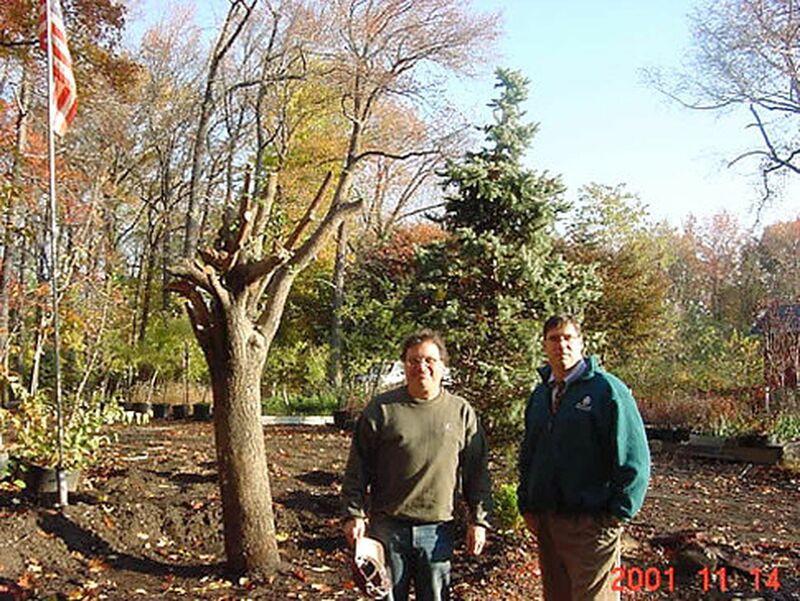 Workers removed the tree from the rubble and New York City Department of Parks and Recreation nurtured it back to health. After nine years of recovery and rehabilitation, the city returned the tree to the Memorial plaza in 2010. Look carefully at the trunk, and you’ll see the new, smooth limbs that extend from the gnarled stumps, creating a visible demarcation between the tree’s past and present. The tree is a poignant, living reminder of resilience. It carries the scars of tragedy, but when it blooms in the spring, its flowers look like those of any other pear tree. September 11, 2001 was a moment in time, one that will be remembered as a day of infamy. Time will continue to run its course, and as the years go by, the power of September 11th to inform our behavior will continue to diminish — much in the same way that December 7th, 1941 — another “day in infamy” — no longer has bearing on the actions of those born after the Japanese attack on Pearl Harbor. Such is human nature. It is perhaps a curse, but more likely a blessing, since the passage of time can heal us as well. We could scarcely continue to exist if we always lived in the presence of intense emotion or unbearable pain. Rosh Hashanah, however, is timeless. It comes out of nowhere — unconnected to any particular date or event in history — to remind us that teshuvah is not the business of grand gestures and sweeping changes made in the heat of the moment, but is at the heart of making the mundane better as we bear in mind the stories that warn and teach us of life’s fragility. Said Rabbi Eliezer in Pirkei Avot, the Ethics of the Sages: “שׁוּב יוֹם אֶחָד לִפְנֵי מִיתָתָךְ — Repent one day before your death” (Avot 2:10). The Talmud objects, “But how does one know when will that be?” “Exactly the reason to start today,” is the answer (BT, Shabbat 153a). The night before the World Trade Center attack, I drove into New York City for a meeting and had dinner at a kosher restaurants two blocks from what would become ground zero twelve hours later. It was a clear and pleasant evening. Because I love skyscrapers I automatically looked up at the Twin Towers as I drove by; their commanding height and twinkling lights always invited a glance . . . a glance, but no more; these buildings were a permanent part of the skyline; landmarks to be taken for granted. If I only had known. . . The suddenness and swiftness of tragedy, which impels us to live with urgency. . . that was the lesson we learned on September 11th, 2001, the day of. Rosh Hashanah, however, is the lesson of September 10th, 2001, the day before. The time when all was quiet and seemingly well. The time to change is now. For who know what waits in the wings of tomorrow? Who truly knows? 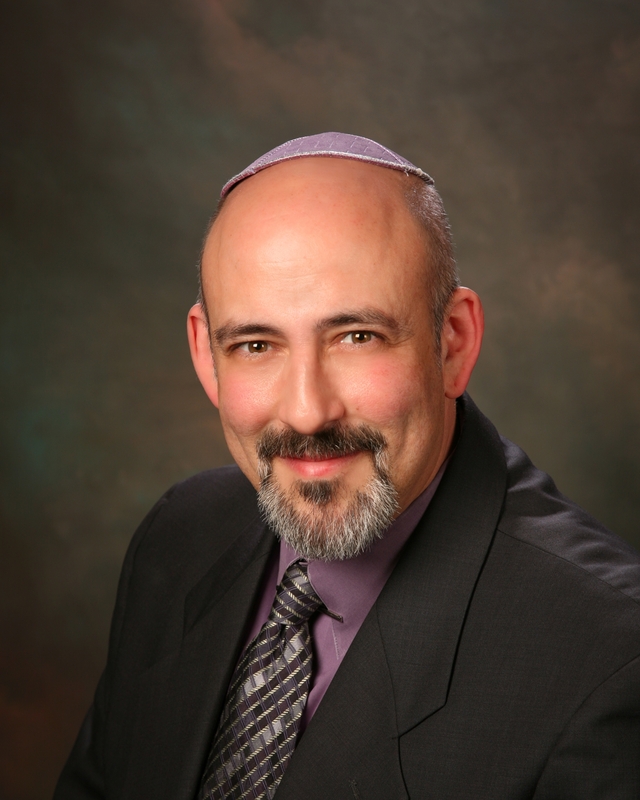 Myjewishlearning.com: When you have a question and your rabbi isn’t standing next to you!